Interviewer is Lionel ‘Bingie’ Barker, to whom i wants to salute the memory. He was one of the first person to answer my questions and query back in 2004. Barker was a teenager during the era of the highly competitive outdoor sound systems, which blazed music on Kingston streets. Barker formed a trio, ‘Bingie and the Astronaughts’, in 1968.
and soon joined the Sound of Freedom band as lead vocalist. The group performed alongside an array of international artists including The Fabulous Five and Inner Circle. 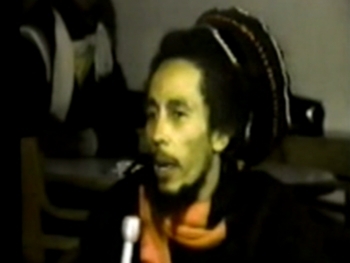 Barker was also a radio deejay, and hosted the only Afro/Caribbean program being broadcast in 1979. 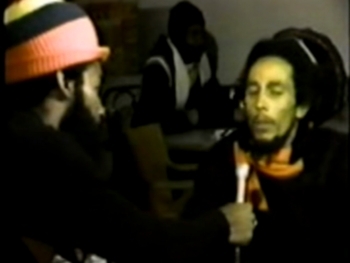 In November of that year, Barker had the opportunity to meet Bob Marley while The Wailers were touring Canada. - This video document in his integral part was aired several time in canadian television broadcast like on TV12 channel. 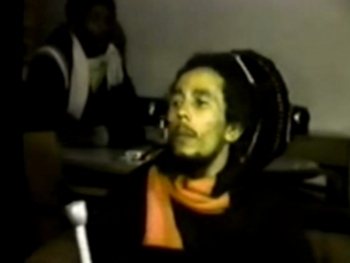 - Sequence of this documentary were used in VH1 music television channel documentaries over the years.